On March 31st, we held the third annual Climate Impacts, Mitigation, and Adaptation conference, known as CIMA 3. 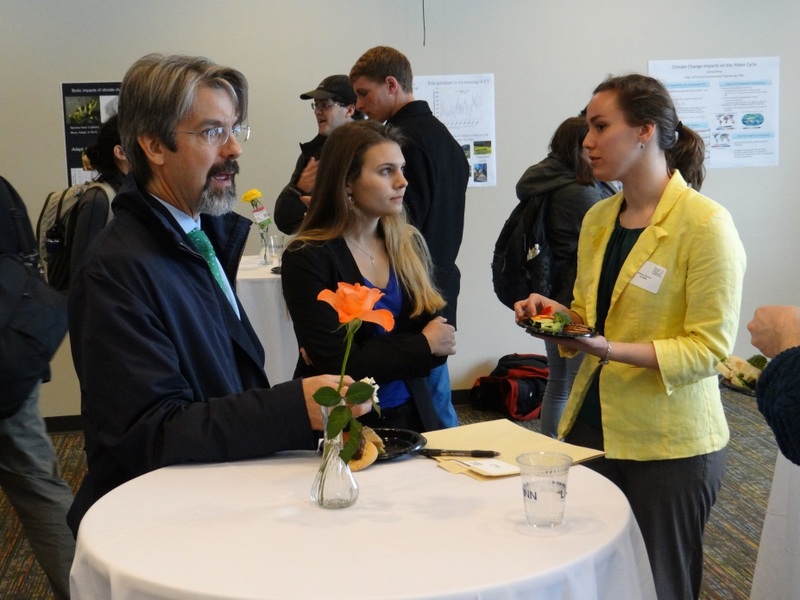 Faculty, staff, and students from all over campus attended the event to discuss climate adaptation and impact. The event helped kick off a month of environmental programming, ending with Earth Day Spring Fling on April 22nd. 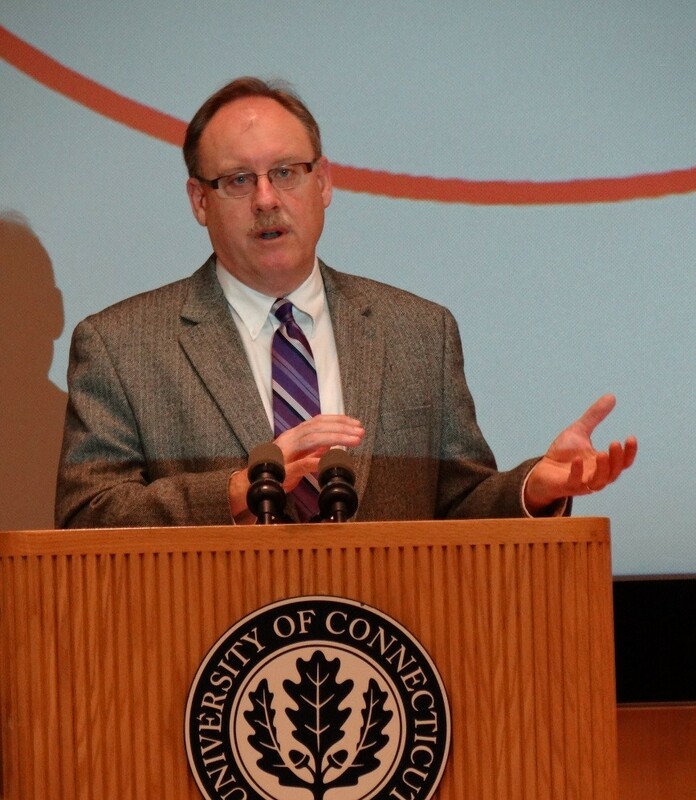 The event was headed by a keynote address from the EPA Administrator for Region 1, Curt Spalding. Mr. Spalding spoke about the challenges facing New England with regards to climate change, and specifically severe weather events and sea level rise. 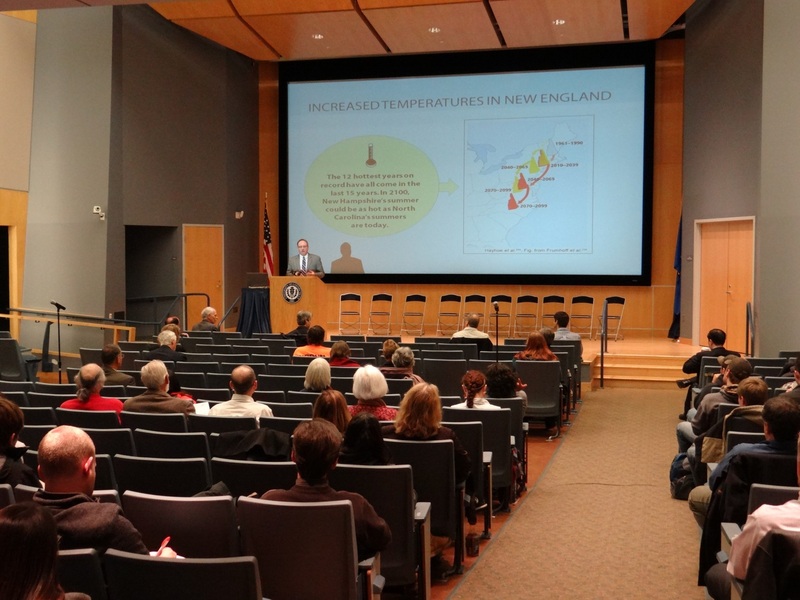 He focused on what the region was doing as a whole, but also how some local governments in New England are working proactively to better adapt to climate change and its effects. Mr. Spalding also talked about the need to frame the issue of climate change for local policy makers in order to make adaptation more of a priority for the New England towns. After the keynote, a panel of UConn faculty from a variety of disciplines presented on the wide reaching impacts of climate change. 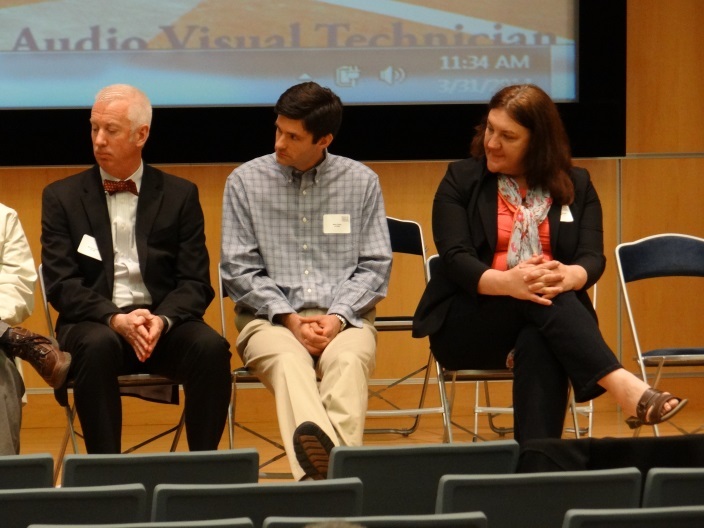 Each faculty member discussed climate change impact in the context of a specific system. Included in this discussion were impacts on water resources, agriculture, human health, biota, infrastructure, economics, and political systems. After an audience question and answer session with the panel, there was a networking lunch and poster session for the attendees. The posters represented some of the climate-related initiatives and research at the University of Connecticut. The relaxed atmosphere of the poster exhibition and lunch provided a unique opportunity for faculty, staff, and students to not only talk about the issue of climate change as a whole, but also what is being done at UConn. 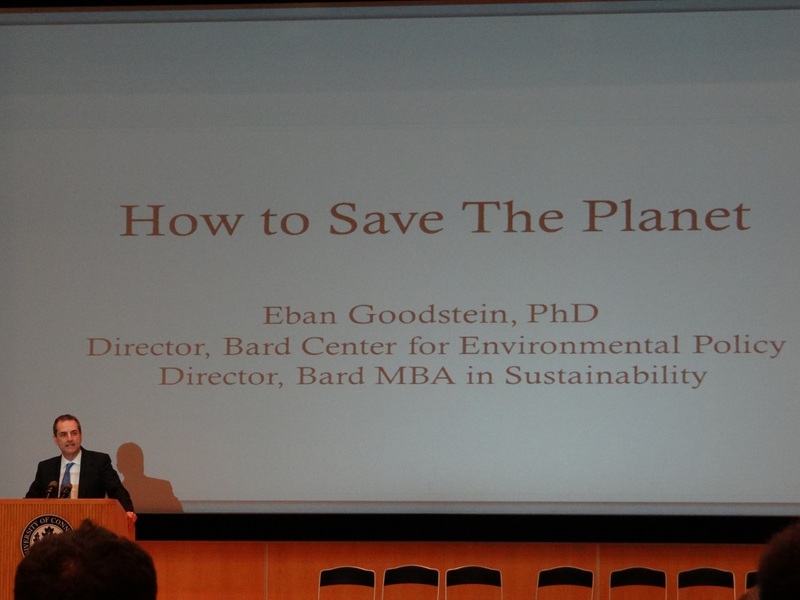 The final session of the day was a closing presentation from Eban Goodstein – Director and Faculty, Center for Environmental Policy and Sustainability MBA at Bard College (Organizer of Power Shift, Focus the Nation and 350.org). Mr. Goodstein talked on the immediacy of needed action on climate change. In this talk, he focused on the current generation of students and how their actions will be pivotal in influencing the course of climate change over the next fifty years. Overall the event was well received by the attendees. It provided an excellent forum for discussion on what needs to happen regionally, globally, and at the University of Connecticut going forward to adapt and respond to global climate change. 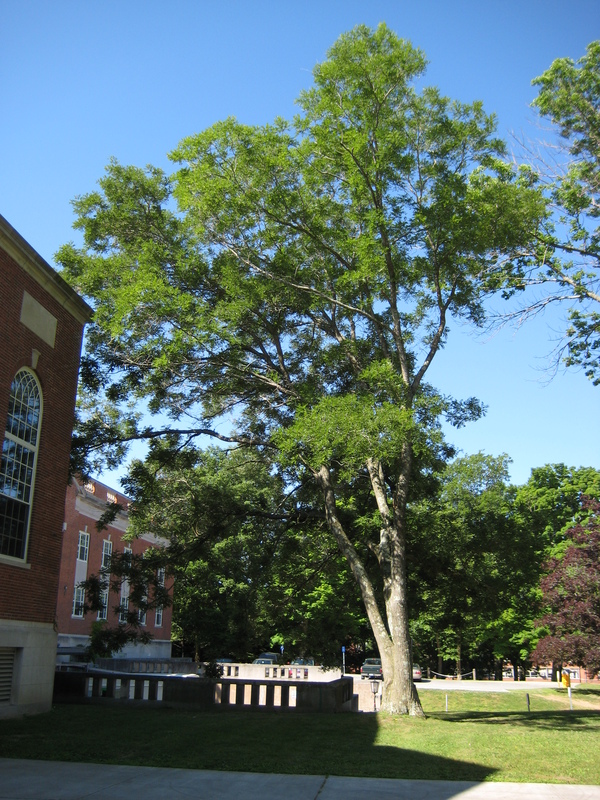 With Earth Day and Arbor Day fast approaching, UConn recently learned that it is the first college in Connecticut and only the third school in New England to be named a Tree Campus USA by the Arbor Day Foundation. The University joins a group of almost 200 schools nationwide that have earned this distinction for their commitment to tree conservation and preservation. 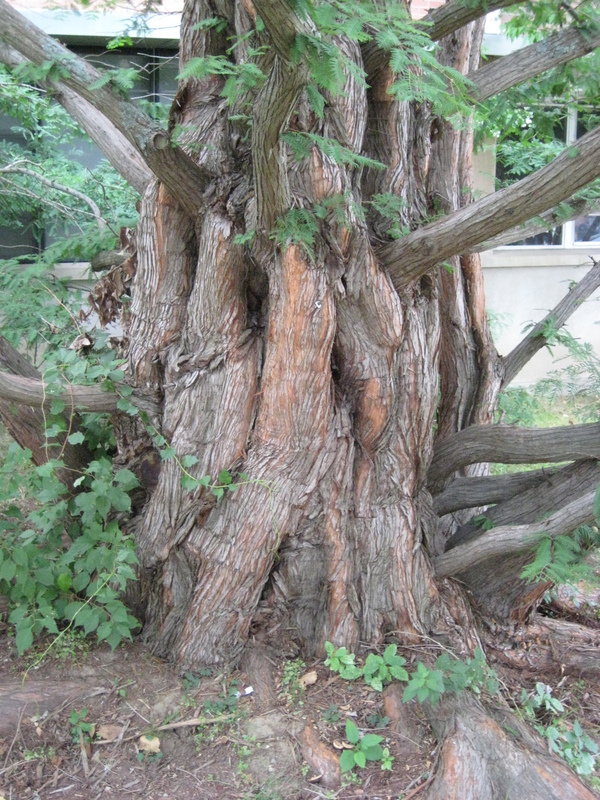 Pagoda Tree (Styphnolobium Japonicum) near Wilbur Cross. Photos by Mark Brand, UConn Plant Science Dept. Shingle Oak (Quercus Imbricaria) near Wilbur Cross. Photo by Mark Brand. 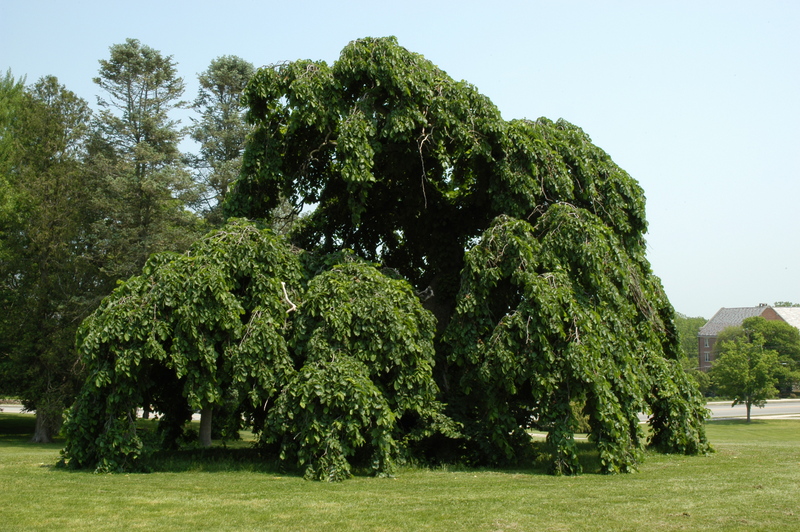 The third component of this designation is a commitment to preservation of the on-campus arboretum, which requires both dedicated annual expenditures for things like planting and maintenance, as well as volunteer time. 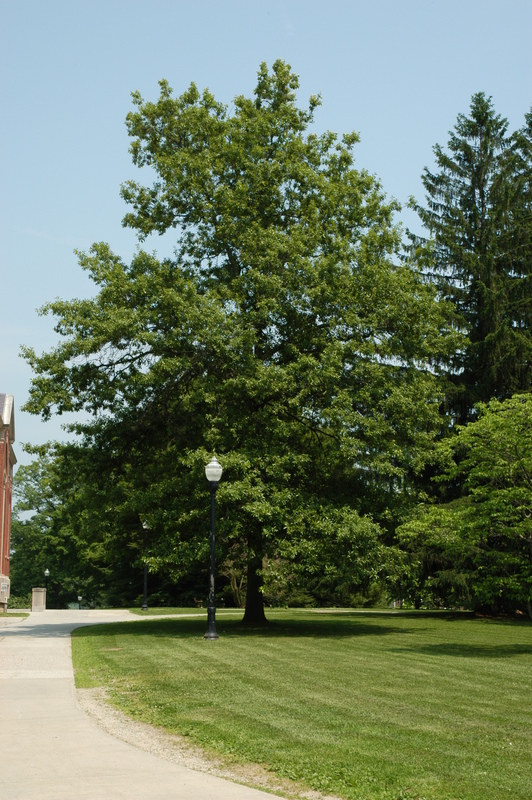 In 2013, the University dedicated more than $350,000 to campus tree preservation. 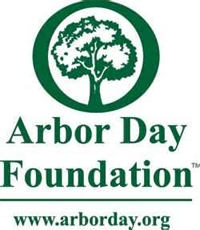 The final components of the Tree Campus certification are an Arbor Day Observance and Service Learning Projects. As part of Earth Day Spring Fling, UConn held an Arbor Day Observance and tree planting on April 18th last year. In addition to this event, UConn students, faculty and community members engaged in service learning projects through demonstrations and coursework. 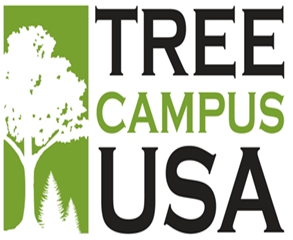 Tree Campus USA is an annual certification, so this year, UConn is developing additional service learning projects, along with outreach events like the Arbor Day Observance. 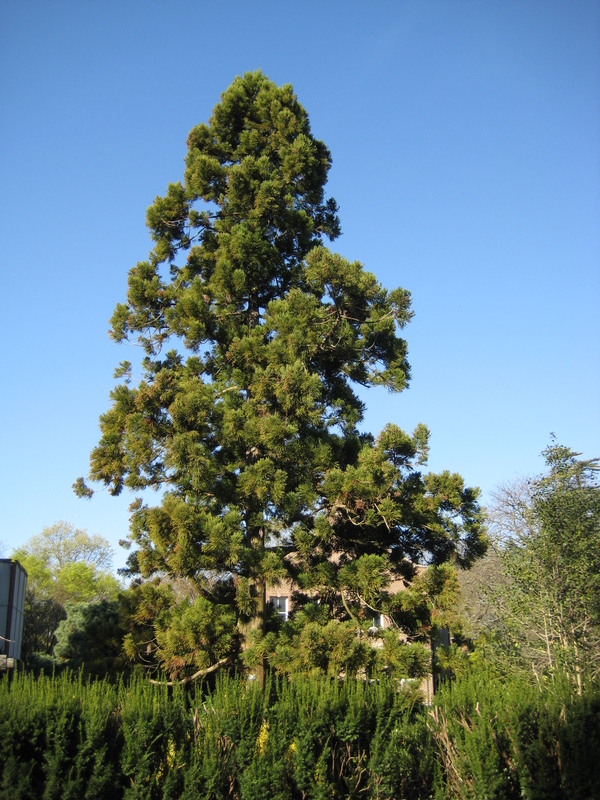 Join members of the Arboretum Committee and others on April 22nd, during the 2014 Earth Day Spring Fling celebration, in acknowledging this distinction with a tree planting celebration (more details to come)! P.S. 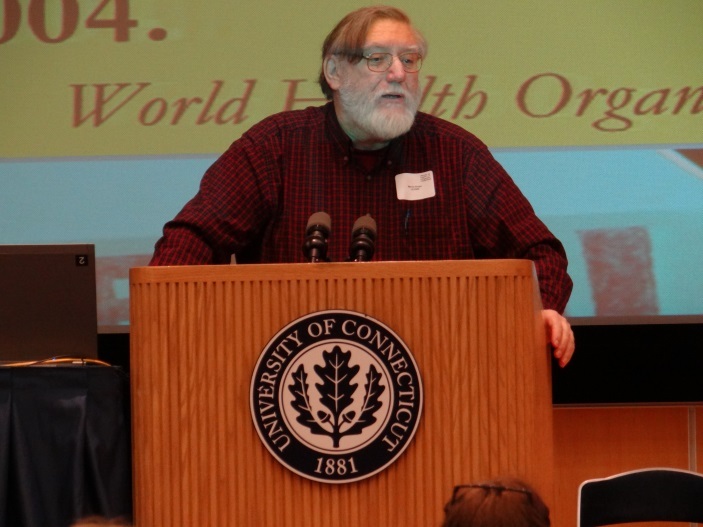 (From Corinne) – Andy worked incredibly hard to make sure that UConn received Tree Campus USA recognition. Without his dedication, this project would not have been completed. The University of Connecticut is in the midst of an extensive retrocommissioning and relamping project as part of the energy efficiency priority of UConn’s Climate Action Plan. Retrocommissioning (RCx) is the process by which the systems and equipment of existing buildings are tested and modified so that the building is running optimally and efficiently. UConn has broken up its retrocommissioning projects into three phases over four years starting in 2011. As of Summer 2013, the university had completed retrocommissioning projects for 19 buildings. These projects, along with other UConn energy efficiency measures, should save over 20,500,000 kWh of energy over the course of a year. The largest savings are coming from the Homer Babbidge Library, the Pharmacy Building, and the Student Union. Of course, energy isn’t free, so in addition to saving energy, retrocommissioning should save the university about 2 million dollars a year. Phase 3 of the retrocommissioning projects is set to begin in Fall 2013 and continue through 2014. Some of the buildings that will be included in Phase 3 are the South Campus Dorms, the Music Building, the Dodd Center, Von der Mehden Recital Hall, and the School of Fine Arts. Relamping is another ongoing energy efficiency project at the University of Connecticut. Relamping works to upgrade the lighting systems of a building by replacing inefficient bulbs with more efficient varieties. These upgrades will increase energy efficiency, decrease overall energy use, and reduce greenhouse gas emissions moving UConn forward with its sustainability goals. As of the end of the summer, 80 relamping projects had been completed at UConn. 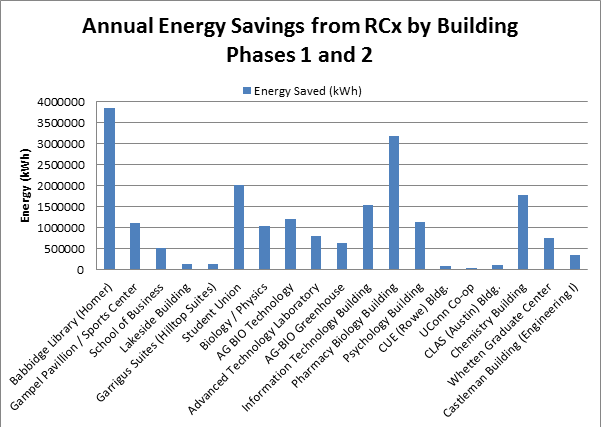 As a result of this effort the university is projected to save 4,065,870 Kwh of energy and $398,013.06 per year. It is incredible that a seemingly small change, like light bulbs, can amount to such large savings. Both retrocommissioning and relamping are excellent examples of UConn’s proactive and effective push for sustainability. Although most people don’t see the changes from retrocommissioning and relamping, they are one of our most effective energy-saving tools! The average reduction in energy from a retrocommissioning project is 16 percent and the implementation of new lighting systems can reduce lighting energy demand (29% of a buildings total energy demand) by 59%. UConn recognizes the value of both relamping and retrocommissioning and has made them priorities in the Climate Action Plan.